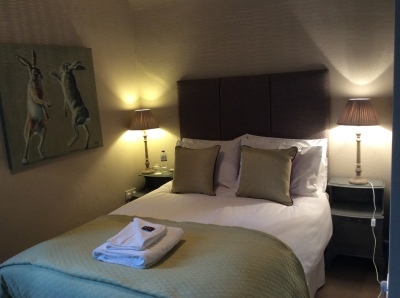 The Gretton Room gives the option for guests staying in the Blue Room to book a further double room, sharing the bathroom facilties and giving flexibility to the possibility of a larger group booking. This can be booked as a Single or Double. Access to the rooms from 4.00pm (Please contact us should you require earlier entry). Checkout should be no later than 10.30am.